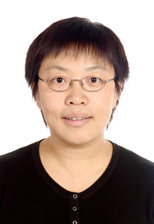 Lecturer in the College of Life Sciences, Peking University. Epigenetics, defined as the study of heritable and probably reversible alteration in gene expression without changes in DNA sequence, has greatly expanded our understanding of gene expression and regulation. DNA methylation, histone modifications and RNA directed gene silencing are three major mechanisms in epigenetic regulation. Using both Arabidopsis and rice as model organisms, our lab is interested in understanding how gene expression and plant development are regulated by histone modifications and small non-coding RNAs. We mainly focus on histone methylation in Arabidopsis flowering time regulation and small RNA biogenesis and their action in rice development. In the nuclei of eukaryotic cells, chromatin is the physiological template for various cellular processes. Histones contain flexible N-terminal tails undergoing diverse post-translational modifications and the combination of such modifications encodes an extra layer of information beyond the DNA sequence. In animals, several key families of enzymes catalyzing histone methylation and demethylation have been identified showing that histone methylation is one of the most important and complex modifications. Extensive studies on lysine methylation at histone H3 and H4 have demonstrated their important roles in maintaining chromatin function and developmental regulation, including modulation of chromatin structure and gene expression, heterochromatin formation, imprinting, genome stability and other important cellular processes. In addition, vital roles of arginine methylation and demethylation are just emerging. Arginine methylation is involved in transcriptional regulation, RNA processing, nuclear trafficking, DNA damage response, and signal transduction. Recently, a large group of lysine and arginine demethylases containing a conserved JmjC domain were found. Methylation homeostasis is achieved by controlling the balance between methylation and demethylation. In plants, there are dozens of SET domain-containing proteins, protein arginine methyltransferases (AtPRMTs) and JmjC-domain containing proteins in the Arabidopsis genome. We employ both biochemical and reverse genetic approach to identify new histone methyltransferases/demethylases and/or their complex and try to understand the important roles of histone methylation in plant development. Flowering time is critical for plants to adapt the environment in response to environmental and endogenous signals and achieve maximum reproductive success. Multiple genetic pathways, including photoperiod, Gibberellin Acid (GA), prolonged cold treatment (vernalization) and autonomous pathways, have been demonstrated to be involved in flowering time regulation. Histone modifications, such as acetylation, lysine methylation and ubiquitination, have been shown to play an important role in flowering time control. Previously, we have showed that protein arginine methyltransferase 5 (AtPRMT5), AtPRTM10, AtPRMT4a/4b as well as histone acetyltransferase 1 (AtHAC1) promoted flowering through repressing FLC, a central floral repressor, in Arabidopsis. One of our long term goals is to elucidate the molecular mechanism of these histone modifiers controlling flowering time in Arabidopsis. The role of RNA silencing in plant development has been the focus of much recent research activity. MicroRNAs (miRNAs) and small interfering RNAs (siRNAs) are two classes of small regulatory RNAs that play fundamental roles in developmental regulation, epigenetic modifications and viral defense. The two classes of small RNAs are related but different in several processes of their biogenesis, including their origins, initiation, as well as their subsequent assembly into different RNA-Induced Silencing Complexes (RISCs). Key components in the miRNA and siRNA biogenesis pathways are the DICER, or DICER-LIKE (DCL) proteins. 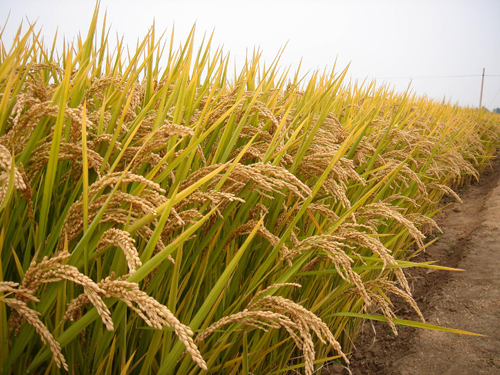 Rice (Oryza sativa L.), one of the most important crop species in the world, has become the model of monocot species for genomic and molecular analysis. Multiple DCL proteins (OsDCLs) have been predicted in rice and phylogenetic analysis suggested that the functional diversification of DCLs occurred before the divergence of monocots and dicots. We have been using rice as the model organism and our long term goal is to elucidate the regulatory network of small RNAs in rice development. We will focus our research on the following questions: What is the nature of small RNAs in rice? Which OsDCLs are responsible for each type of small RNAs? How are different OsDCLs involved in rice development? We have previously identified several novel miRNAs, including OsmiR528, OsmiR529, and OsmiR530 in rice. We also generated loss-of-function of OsDCL1IR and OsDCL4IR transformants and our research demonstrated that both OsDCL1 and OsDCL4 are essential for rice development. In addition, we demonstrate that OsDCL1 plays an essential role in miRNA accumulation and OsDCL4 is the major DCL locus responsible for the processing of 21 nt siRNAs in rice. We will continue to use rice as a model system to study small RNA biogenesis and their action in rice development. 2. Runlai Hang, Zhen Wang, Xian Deng, Chunyan Liu, Bin Yan, Chao Yang, Xianwei Song, Beixin Mo, and Xiaofeng Cao*. Ribosomal RNA Biogenesis and Its Response to Chilling Stress in Oryza sativa. Plant Physiology. 177:381-397 (2018). 3. Hongjing Deng, Jitender Cheema, Hang Zhang, Hugh Woolfenden, Matthew Norris, Zhenshan Liu, Qi Liu, Xiaofei Yang, Minglei Yang, Xian Deng, Xiaofeng Cao* and Yiliang Ding*. Rice In Vivo RNA Structurome Reveals RNA Secondary Structure Conservation and Divergence in Plants. Molecular Plant. 11, 607–622 (2018). 4. Zhenlin Yang, Qi Qiu, Wei Chen, Bei Jia, Xiaomei Chen, Hongmiao Hu, Kaixuan He, Xian Deng, Sisi Li, W. Andy Tao, Xiaofeng Cao*, and Jiamu Du*. Structure of Arabidopsis JMJ14-H3K4me3 complex reveal insight into the substrate specificity of KDM5 subfamily histone demethylase. The Plant Cell. 30: 167–177 (2018). 6. Xuan Ma, Chunyan Liu, Lianfeng Gu, Beixin Mo, Xiaofeng Cao, and Xuemei Chen. TarHunter, a tool for predicting conserved microRNA targets and target. Bioinformatics. 34 (9):1574-1576 (2018). 29. Shuaibin Zhang, Bing Zhou, Yanyuan Kang, Xia Cui, Ao Liu, Angelique Deleris , Maxim V. C. Greenberg, Xiekui Cui, Qi Qiu, Falong Lu, James A. Wohlschlegel, Steven E. Jacobsen, and Xiaofeng Cao*. C-terminal domains of histone demethylase JMJ14 interact with a pair of NAC transcription factors to mediate specific chromatin association. Cell Discovery 1:15003, doi:10.1038/celldisc.2015.3 (2015). 30. Xiangqian Zhang, Jing Sun, Xiaofeng Cao, and Xianwei Song*. Epigenetic Mutation of RAV6 Affects Leaf Angle and Seed Size in Rice. Plant Physiology, 169 (3) 2118-2128 (2015). 36. Liya Wei, Lianfeng Gu, Xianwei Song, Xiekui Cui, Zhike Lu, Ming Zhou, Lulu Wang, Fengyi Hu, Jixian Zhai, Blake C. Meyers, and Xiaofeng Cao*. Dicer-like 3 produces transposable element-associated 24-nt siRNAs that control agricultural traits in rice. Proc. Natl. Acad. Sci. USA, 111 (10): 3877-3882 (2014). 43. Xia Cui, Falong Lu, Yue Li, Yongming Xue, Yanyuan Kang, Shuaibin Zhang, Qi Qiu, Xiekui Cui, Shuzhi Zheng, Bin Liu, Xiaodong Xu, and Xiaofeng Cao. Ubiquitin-specific Proteases UBP12 and UBP13 Act in Circadian Clock and Photoperiodic Flowering Regulation in Arabidopsis. Plant Physiology, 162: 897-906 (2013). 44. Shengben Li, Lin Liu, Xiaohong Zhuang, Yu Yu, Xigang Liu, Xia Cui, Lijuan Ji, Zhiqiang Pan, Xiaofeng Cao, Beixin Mo, Fuchun Zhang, Natasha Raikhel, Liwen Jiang, and Xuemei Chen. MicroRNAs inhibit the translation of target mRNAs on the endoplasmic reticulum in Arabidopsis. Cell, 153, 562–574 (2013). 45. Kai Shu, Huawei Zhang, Shengfu Wang, Yaorong Wu, Sanyuan Tang, Chunyan Liu, Xiaofeng Cao, and Qi Xie. ABI4 regulates primary seed dormancy by regulating the biogenesis of abscisic acid and gibberellins in Arabidopsis. PLoS Genetics, 9(6), e1003577 (2013). 46. Jixian Zhai, Yuanyuan Zhao, Stacey A. Simon, Sheng Huang, Katherine Petsch, Siwaret Arikit, Manoj Pillay, Lijuan Ji, Meng Xie, Xiaofeng Cao, Bin Yu, Marja Timmermans, Bing Yang, Xuemei Chen, and Blake C. Meyers. Plant MicroRNAs Display Differential 3’ Truncation and Tailing Modifications That Are ARGONAUTE1 Dependent and Conserved Across Species. The Plant Cell, 25: 2417-2428 (2013). 47. Xiekui Cui, Ping Jin, Xia Cui, Lianfeng Gu, Zhike Lu, Yongming Xue, Liya Wei, Jianfei Qi, Xianwei Song, Ming Luo, Gynheung An, and Xiaofeng Cao*. Control of transposon activity by a histone H3K4 demethylase in rice. Proc. Natl. Acad. Sci. USA, 110: 1953-1958 (2013). 48. Lulu Wang, Xianwei Song, Liangfeng Gu, Xin Li, Shouyun Cao, Chengcai Chu, Xia Cui, Xuemei Chen, and Xiaofeng Cao*. NOT2 proteins promote polymerase II-dependent transcription and interact with multiple miRNA biogenesis factors in Arabidopsis. The Plant Cell, 25:2, 715-727 (2013). 49. Jungil Yang, Shinyong Lee, Runlai Hang, Sung-Ryul Kim, Yang-Seok Lee, Xiaofeng Cao, Richard Amasino, and Gynheung An. OsVIL2 Functions with PRC2 to Induce Flowering by Repressing OsLFL1 in Rice. The Plant Journal, 73, 566-578 (2013). 50. Xuan Ma, Xiaofeng Cao, Beixin Mo, and Xuemei Chen. Trip to ER: microRNA-mediated translational repression in plants. RNA Biology, 10(10), 1586-1592 (2013). 51. Xianwei Song, Xiuying Liu, Xiaofeng Cao*, and Xiujie Wang*. Non-coding regulatory RNAs. Genetics and Genomics of Rice. Edited by Qifa Zhang and Rod Wing, Beijing 5: 145-160, (2013). 52. Liguo Zhang, Zhijun Cheng, Ruizhen Qin, Yang Qiu, Jiu-Lin Wang, Xiekui Cui, Lianfeng Gu, Xin Zhang, Xiuping Guo, Dan Wang, Ling Jiang, Chuan-yin Wu, Haiyang Wang, Xiaofeng Cao, and Jianmin Wan. Identification and Characterization of an Epi-Allele of FIE1 Reveals a Regulatory Linkage between Two Epigenetic Marks in Rice. The Plant Cell, 24: 4407-4421 (2012). 53. Lifang Niu, Falong Lu, Taolan Zhao, Chunyan Liu, and Xiaofeng Cao*. The enzymatic activity of Arabidopsis protein arginine methyltransferase 10 is essential for flowering time regulation. Protein & Cell. 3(6): 450-459 (2012). 54. Changhui Sun, Jun Fang, Taolan Zhao, Bo Xu, Fantao Zhang, Linchuan Liu, Jiuyou Tang, Genfa Zhang, Xiaojian Deng, Fan Chen, Qian Qian, Xiaofeng Cao, and Chengcai Chu. The Histone methyltransferase SDG724 mediates H3K36me2/3 deposition at MADS50 and RFT1, and promotes flowering in rice. The Plant Cell, 24: 3235-3247 (2012). 55. Xianwei Song, Dekai Wang, Lijia Ma, Zhiyu Chen, Pingchuan Li, Xia Cui, Chunyan Liu, Shouyun Cao, Chengcai Chu, Yuezhi Tao, and Xiaofeng Cao*. Rice RNA-dependent RNA polymerase 6 acts in small RNA biogenesis and spikelet development. The Plant Journal, 71:378-389 (2012). 56. Xianwei Song, Pingchuan Li, Jixian Zhai, Ming Zhou, Lijia Ma, Bin Liu, Dong-Hoon Jeong, Mayumi Nakano, Shouyun Cao, Chunyan Liu, Chengcai Chu, Xiu-Jie Wang, Pamela J. Green, Blake C. Meyers, and Xiaofeng Cao*. Roles of DCL4 and DCL3b in rice phased small RNA biogenesis. The Plant Journal, 69:462-474 (2012). 57. Yi Yuan, Hongyan Chen, Gang Ma, Xiaofeng Cao, and Zhihua Liu. Reelin is involved in transforming growth factor-β1-induced cell migration in esophageal carcinoma cells. PLoS ONE, 7(2): e31802 (2012). 58. Xin Li, Jingde Zhu, Fengyi Hu, Song Ge, Mingzhi Ye, Hui Xiang, Guojie Zhang, Xiaoming Zheng, Hongyu Zhang, Shilai Zhang, Qiong Li, Ruibang Luo, Chang Yu, Jian Yu, Jingfeng Sun, Xiaoyu Zou, Xiaofeng Cao, Xianfa Xie, Jun Wang, and Wen Wang. Single-base resolution maps of cultivated and wild rice methylomes and regulatory roles of DNA methylation in plant gene expression. BMC Genomics, 13: 300 (2012). 59. Ahmad and Xiaofeng Cao*. Plant PRMTs Broaden the Scope of Arginine Methylation. Journal of Genetics and Genomics. 39(5): 195-236 (2012). 60. The EPIC Planning Committee: Fred Berger, Xiaofeng Cao, Vicki Chandler, Liz Dennis, Rob Martienssen, Blake Meyers, Craig Pikaard, Jim Peacock, Eric Richards, Doris Wagner, Detlef Weigel, Vincent Colot, Roger Deal, Caroline Dean, Joe Ecker, Mary Gehring, Zhizhong Gong, Brian Gregory, Gutierrez Rodrigo, Jose Gutierrez-Marcos, Mitsuyasu Hasebe, Il-Doo Hwang, Steven E. Jacobsen, Tetsuji Kakutani, Jiayang Li, Scott Michaels, Yoo-Sun Noh, Nick Provart, and Matt Vaughn. Reading the Second Code: Mapping epigenomes to understand plant growth, development, and adaptation to the environment. The Plant Cell, 24: 2257-2261 (2012). 61. Falong Lu, Xia Cui, Shuaibin Zhang, Thomas Jenuwein, and Xiaofeng Cao*. Arabidopsis REF6 is a Histone H3 Lysine 27 Demethylase. Nature Genetics, 43:715-719 (2011). 62. Yuan Cheng, Monica Frazier, Falong Lu, Xiaofeng Cao, and Matthew R. Redinbo. Crystal structure of the plant epigenetic protein arginine methyltransferase 10. Journal of Molecular Biology, 414: 106-122 (2011). 63. Xigang Liu, Yun Ju Kim, Ralf Müller, Rae Eden Yumul, Chunyan Liu, Yanyun Pan, Xiaofeng Cao, Justin Goodrich, and Xuemei Chen. AGAMOUS terminates floral stem cells by directly repressing the stem cell maintenance gene WUSCHEL through the recruitment of polycomb group proteins in Arabidopsis. The Plant Cell, 23: 3654-3670 (2011). 64. Ayaz Ahmad, Yuzhu Dong, and Xiaofeng Cao*. Characterization of the PRMT gene family in rice reveals conservation of arginine methylation. PLoS One, 6(8): e22664 (2011). 66. Lijuan Ji, Xigang Liu, Jun Yan, Wenming Wang, Rae Eden Yumul, Yun Ju Kim, Thanh Theresa Dinh, Jun Liu, Xia Cui, Binglian Zheng, Manu Agarwal, Chunyan Liu, Xiaofeng Cao, Guiliang Tang, and Xuemei Chen. ARGONAUTE10 and ARGONAUTE1 regulate the termination of floral stem cells through two microRNA in Arabidopsis. PLoS Genetics, 7: e1001358 (2011). 67. Xian Deng, Lianfeng Gu, Chunyan Liu, Tiancong Lu, Falong Lu, Zhike Lu, Peng Cui, Yanxi Pei, Baichen Wang, Songnian Hu, and Xiaofeng Cao*. Arginine methylation mediated by the Arabidopsis homolog of PRMT5 is essential for proper pre-mRNA splicing. Proc. Natl. Acad. Sci. USA, 107:19114-19119 (2010). 68. Soichi Inagaki, Asuka Miura-Kamio, Yasukazu Nakamura, Falong Lu, Xia Cui, Xiaofeng Cao*, Hiroshi Kimura, Hidetoshi Saze, and Tetsuji Kakutani*. Autocatalytic differentiation of epigenetic modifications within the Arabidopsis genome. EMBO Journal, 29: 3496 – 3506 (2010). 69. Falong Lu, Xia Cui, Shuaibin Zhang, Chunyan Liu, and Xiaofeng Cao*. JMJ14 is an H3K4 demethylase and regulates flowering time in Arabidopsis. Cell Research, 20:387-390 (2010). 70. Ming Zhou, Lianfeng Gu, Pingchuan Li, Xianwei Song, Liya Wei, Zhiyu Chen, and Xiaofeng Cao*. Degradome sequencing reveals endogenous small RNA targets in rice (Oryza sativa L. ssp. indica). Frontier in Biology, 5(1): 67-90 (2010). 71. Ian R. Henderson, Simon R. Chan, Xiaofeng Cao, Lianna Johnson, and Steven E. Jacobsen. Accurate sodium bisulfite sequencing in plants. Epigenetics, 5, 29-31 (2010). 72. Xinyu Jian, Lin Zhang, Guanglin Li, Liang Zhang, Xiujie Wang, Xiaofeng Cao, Xiaohua Fang, and Fan Chen. Identification of novel stress-regulated microRNAs from Oryza sativa L. Genomics, 47-55 (2010). 73. Chunyan Liu, Falong Lu, Xia Cui, and Xiaofeng Cao*. Histone methylation in higher plants. Annu Rev. Plant Biol, 61: 395-425 (2010). 74. Ayaz Ahmad, Yong Zhang, and Xiaofeng Cao*. Decoding the epigenetic language of plant development. Molecular Plant, 3(4):719-728 (2010). 75. Yanwei Wang, Pingchuan Li, Xiaofeng Cao, Xiujie Wang, Aimin Zhang, and Xia Li. Identification and expression analysis of miRNAs from nitrogen-fixing soybean nodules. Biochemical and Biophysical Research Communications, 378 (4): 799-803 (2009). 76. Séverine Lacombe, Hiroshi Nagasaki, Carole Santi, David Duval, Beno？t Piégu, Martine Bangratz, Jean-Christophe Breitler, Emmanuel Guiderdoni, Christophe Brugidou, Xiaofeng Cao, Claire Brice, Olivier Panaud, Wojciech Karlowski, Yutaka Sato, and Manuel Echeverria. Identification of precursor transcripts for 6 novel mirnas expands the diversity on the genomic organisation and expression of miRNA genes in rice. BMC Plant Biology, 8: 123 (2008). 77. Lifang Niu, Yong Zhang, Yanxi Pei, Chunyan Liu, and Xiaofeng Cao*. Redundant requirement for a pair of PROTEIN ARGININE METHYLTRANSFERASE4 homologs for the proper regulation of Arabidopsis flowering time. Plant Physiology 148:490-503 (2008). 78. Dongfen Zhang, Qiuying Yang, Yong Ding, Xiaofeng Cao, Yongbiao Xue, and Zhukuan Cheng. Cytological characterization of the tandem repetitive sequences and their methylation status in the Antirrhinum majus Genome. Genomics, 92: 107-114 (2008). 79. Falong Lu, Guanglin Li, Xia Cui, Chunyan Liu, Xiu-Jie Wang, and Xiaofeng Cao*. Comparative Analysis of JmjC Domain-containing Proteins Reveals the Potential Histone Demethylases in Arabidopsis and Rice. Journal of Integrative Plant Biology. 50 (7): 886–896 (2008). 80. Jixian Zhai, Jun Liu, Bin Liu, Pingchuan Li, Blake C. Meyers, Xuemei Chen, and Xiaofeng Cao*. 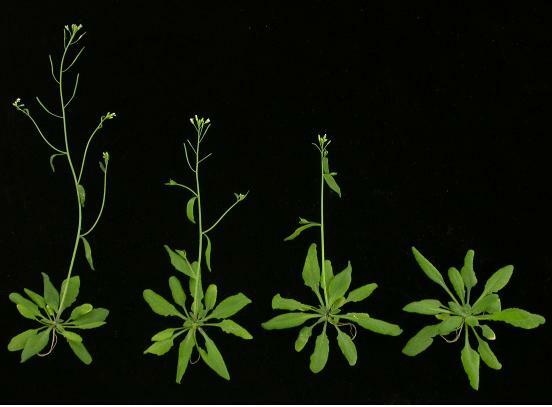 Small RNA-directed Epigenetic Natural Variation in Arabidopsis thaliana. PLoS Genetics 4(4): e1000056 (2008). 81. Cheng Lu, Dong-Hoon Jeong, Karthik Kulkarni, Manoj Pillay, Kan Nobuta, Rana German, Shawn R. Thatcher, Christopher Maher, Lifang Zhang, Doreen Ware, Bin Liu, Xiaofeng Cao, Blake C. Meyers, and Pamela J. Green. Genome-wide analysis for discovery of rice microRNAs reveals natural antisense microRNAs (nat-miRNAs). Proc. Natl. Acad. Sci., USA, 105: 4951-4956 (2008). 82. Blake C. Meyers, Michael J. Axtel, Bonnie Bartel, David P. Bartel, David Baulcombe, John L. Bowman, Xiaofeng Cao, James C. Carrington, Xuemei Chen, Pamela J. Green, Sam Griffiths-Jones, Steven E. Jacobsen, Allison C. Mallory, Robert A. Martienssen, R. Scott Poethig, Yijun Qi, Herve Vaucheret, Franck Vazquez, Olivier Voinnet, Detlef Weigel, and Jian-Kang Zhu. Criteria for annotation of plant microRNAs. The Plant Cell, 20: 3186-3190 (2008). 84. Bin Liu, Zhiyu Chen, Xianwei Song, Chunyan Liu, Xia Cui, Xianfeng Zhao, Jun Fang, Wenying Xu, Huiyong Zhang, Xiujie Wang, Chengcai Chu, Xingwang Deng, Yongbiao Xue, and Xiaofeng Cao*. Oryza sativa Dicer-like4 reveals a key role for small interfering RNA silencing in plant development. The Plant Cell, 19: 2705-2718 (2007). 85. Dongsheng Yan, Yong Zhang, Lifang Niu, Yi Yuan, and Xiaofeng Cao*. Identification and characterization of two closely related histone H4 arginine 3 methyltransferases in Arabidopsis thaliana. Biochemical Journal, 408: 113-121 (2007). 86. Yanxi Pei, Lifang Niu, Falong Lu, Chunyan Liu, Jixian Zhai, Xiangfeng Kong, and Xiaofeng Cao*. Mutations in the type II protein arginine methyltransferase AtPRMT5 result in pleiotropic developmental defects in Arabidopsis thaliana. Plant Physiology, 144: 1913-1923 (2007). 87. Weiwei Deng, Chunyan Liu, Yanxi Pei, Xian Deng, Lifang Niu, and Xiaofeng Cao*. Involvement of the histone acetyltransferase AtHAC1 in the regulation of flowering time via repression of FLC in Arabidopsis thaliana. Plant Physiology, 143: 1660-1668 (2007). 88. Yong Ding, Xia Wang, Lei Su, Jixian Zhai, Shouyun Cao, Dongfen Zhang, Chunyan Liu, Yuping Bi, Qian Qian, Zhukuan Cheng, Chengcai Chu*, and Xiaofeng Cao*. SDG714, a histone H3K9 methyltransferase involves in Tos17 DNA methylation and transposition in Oryza sativa L. The Plant Cell 19:9-22 (2007). 89. Ran Xia, Junguo Wang, Chunyan Liu, Yu Wang, Youqun Wang, Jixian Zhai, Jun Liu, Xuhui Hong, Xiaofeng Cao, Jian-Kang Zhu, and Zhizhong Gong. ROR1/RPA2A encoding a putative replication protein a2 is required for maintaining epigenetic gene silencing and important for root and shoot meristem development in Arabidopsis. The Plant Cell, 18: 85-103 (2006). 90. Bin Liu, Pingchuan L , Xin Li, Chunyan Liu, Yunru Cao, Chengcai Chu, Xiaofeng Cao*. Loss of Function of OsDCL1 Affects MicroRNA Accumulation and Causes Developmental Defects in Rice. Plant Physiology 139: 296–305 (2005). 91. Wenli Zhang, Chuandeng Yi, Weidong Bao, Bin Liu, Jiajun Cui, Hengxiu Yu, Xiaofeng Cao, Minghong Gu, Min Liu, Zhukuan Cheng. The transcribed 165-bp CentO satellite is the major functional centromeric element in the wild rice species Oryza punctata. Plant Physiology, 139: 306-315 (2005). 92. Hong Li, Lin Xu, Hua Wang, Zheng Yuan, Xiaofeng Cao, Zhongnan Yang, Dabing Zhang, Yuquan Xu, and Hai Huang. The Putative RNA-dependent rna polymerase RDR6 acts synergistically with ASYMMETRIC LEAVES1 and 2 to repress BREVIPEDICELLUS and microRNA165/166 in Arabidopsis leaf development. The Plant Cell, 17: 2157-2171 (2005). 93. Tetsu Kinoshita, Asuka Miura, Yeonhee choi, Yuki Kinoshita, Xiaofeng Cao, Steven E. Jacobsen, Robert L. Fischer, and Tetsuji Kakutani. One-way control of FWA imprinting in Arabidopsis endosperm by DNA methylation. Science, 303: 521-523 (2004). 94. Daniel Zilberman, Xiaofeng Cao, Lisa K. Johansen, Zhixin Xie, James C. Carrington and Steven E. Jacobsen. Role of Arabidopsis ARGONAUTE4 in RNA-directed DNA methylation triggered by inverted repeats. Current Biology, 14: 1214-1220 (2004). 95. Xiaofeng Cao, Werner Aufsatz, Daniel Zilberman, M. Florian Mette, Michael S. Huang, Marjori Matzke, and Steven E. Jacobsen. Role of the DRM and CMT3 methyltransferases in RNA-directed DNA methylation. Current Biology, 13: 2212-2217 (2003). 96. Daniel Zilberman, Xiaofeng Cao and Steven E. Jacobsen. ARGONAUTE4 control of locus-specific siRNA accumulation and DNA and histone methylation. Science, 299: 716-719 (2003). 97. Xiaofeng Cao and Steven E. Jacobsen. Role of the Arabidopsis DRM methyltransferases in de novo DNA methylation and gene silencing. Current Biology, 12: 1138-1144 (2002a). 98. Xiaofeng Cao and Steven E. Jacobsen. Locus specific control of asymmetric and CpNpG methylation by the DRM and CMT3 methyltransferase genes. Proc. Natl. Acad. Sci., USA, 99: 16491-16498 (2002b). 99. James P. Jackson, Anders M. Lindroth, Xiaofeng Cao, and Steven E. Jacobsen. Control of CpNpG DNA methylation by the KRYPTONITE histone H3 methyltransferase. Nature, 416:556-560 (2002). 100.Lianna M. Johnson, Xiaofeng Cao, and Steven E. Jacobsen. Interplay between two epigenetic marks: DNA methylation and histone H3 lysine 9 methylation. Current Biology, 12: 1360-1367 (2002). 101.Anders Lindroth#, Xiaofeng Cao#, James P. Jackson#, Daniel Zilberman, Claire M. McCallum, Steven Henikoff and Steven E. Jacobsen. Requirement of Chromomethylase3 for maintenance of CpXpG methylation. Science, 292: 2077-2080 (2001). (#These authors contributed equally to this work) . 102.Xiaofeng Cao, Nathan M. Springer, Michael G. Muszynski, Ronald L. Phillips, Shawn Kaeppler, and Steven E. Jacobsen. Conserved plant genes with similarity to mammalian de novo DNA methyltransferases. Proc. Natl. Acad. Sci. USA, 97: 4979-4984 (2000). 103.Xiaofeng Cao, Sally W. Rogers, Juliet Butler, Leonard Beevers, and John C. Rogers. Structural requirements for ligand binding by a probable plant vacuolar sorting receptor. The Plant Cell, 12: 493-506 (2000). 104.Steven E. Jacobsen, Hajime Sakai, E. Jean Finnegan, Xiaofeng Cao, and Elliot. M. Meyerowitz. Ectopic hypermethylation of floral specific genes in Arabidopsis. Current Biology, 10:179-186 (2000). 105.Xiaofeng Cao, Paul Linstead, Fred Berger, Joe Kieber, and Liam Dolan. Differential ethylene sensitivity of epidermal cells is involved in the establishment of cell pattern in the Arabidopsis root. Physiologia Plantarum, 106: 311-317 (1999). 106.Liam Dolan, Paul Linstead, Catherine Kidner, Kurt Boudonck, Xiaofeng Cao, and Frederic Berger. Cell fate in plants: lessons from the Arabidopsis root. Symposium of Society for Experimental Biology, 51:11-17 (1998). 107.Mian Xia, Yuxian Zhu, Xiaofeng Cao, Lingtao You, and Zhangliang Chen. Cloning, sequencing and analysis of a gene encoding Escherichia coli proline dehydrogenase. FEMS Microbiology Letters, 127: 235-242 (1995). 108.Xiaofeng Cao, Zhibin Lu, Yuxian Zhu, Naisui Pan, and Zhangliang Chen. Cloning and sequencing of a tomato cDNA of ethylene-forming enzyme. Chinese Science Bulletin, 39: 430-434 (1994). 109.Xiaofeng Cao, Rongchen Wang, Lungfei Yen, Zhibin Lu, Naisui Pan, and Zhangliang Chen. Construction of a pea tendril cDNA library and sequence analysis of a pea actin cDNA, PEAc1. Chinese Science Bulletin, 39: 332-337(1994).